In the background of this piece is the Fibonacci Spiral, discovered by the 13th century Italian mathematician of the same name. It is created by graphing a curve through interconnected rectangles which grow at a ratio of adding the two preceding numbers together (1 – 1 – 2 – 3 – 5 – 8, etc). It creates a shape that is found in the growth patterns of many natural objects, and as a result has been used by artists since the Renaissance when creating visually pleasing compositions. I use it often as an invisible framework for my art. When I was playing with the spiral on top of this image, I became inspired to include it as an additional element, as a symbol of the natural growth and evolution of life. The swans represent strength, inner grace and beauty, and are perhaps poised to carry her off. 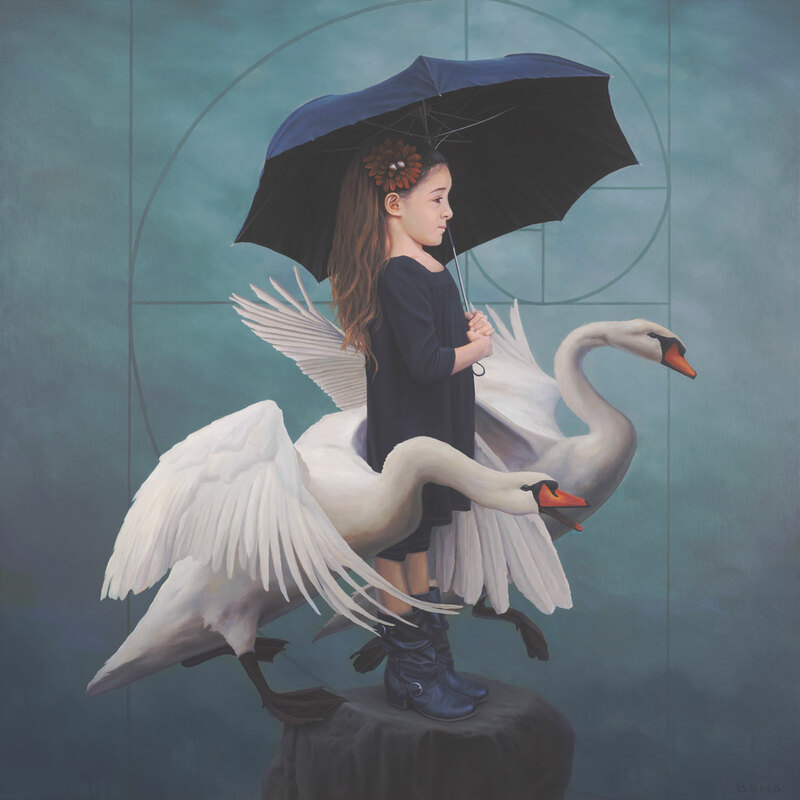 They surround and protect the innocence of this young girl – as does the umbrella – on her journey in that evolution.